Footage from the city of Jos showed people waving machetes and yelling at security forces trying to navigate through burning vehicles. Women and children packed into trucks in an attempt to flee, according to the Associated Press. Nigeria’s government said "scores" were killed but did not announce a death toll. The independent Channels Television cited a Plateau State police spokesman, Mathias Tyopev, as saying 86 people had been killed, with at least 50 houses destroyed. "Please remain calm," said the Plateau State governor, Simon Bako Lalong, as a helicopter whirred overhead. "It is very, very, unfortunate that an incident is happening again like this." 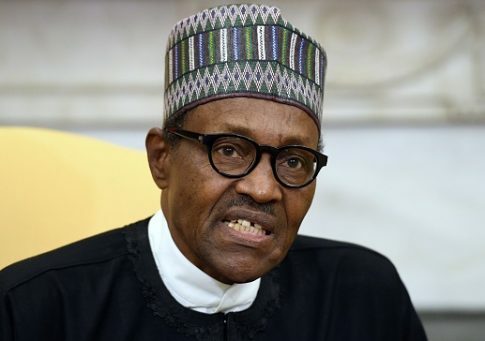 Nigerian president Muhammadu Buhari called the bloodshed "painful and regrettable" in a tweet on Sunday. "We will not rest until all murderers and criminal elements and their sponsors are incapacitated and brought to justice," he said. The latest clashes began when about 100 cattle were rustled and some herders were killed, according to a statement from Buhari’s office. "Less than 24 hours later, violence broke out. Some thugs then took advantage of the situation, turning it into an opportunity to extort the public, and to attack people from rival political parties," the statement said. Nigeria’s population is sharply split between Muslims in the north and Christians in the south. The CIA World Factbook estimates 50 percent of the population is Muslim and 40 percent is Christian; although, percentages vary. 2010 estimates from PEW Research Center put the breakdown at closer to 50-50. The terrorist organization Boko Haram continues to launch attacks in northeastern Nigeria, despite government efforts to defeat the group. Boko Haram’s presence in the north, along with climate change, has been cited as a reason for increased tensions, as many Muslim herders move south to find safe grazing areas. The conflict between herders and farmers is centered on the Middle Belt of Nigeria, a region running through the center of the country. The United States Commission on International Religious Freedom (USCIRF) reported that over 500 people died as a result of the herder-farmer conflict in 2017, and thousands were displaced. Nigerian officials pointed to other factors feeding the conflict when USCIRF visited the country last year, including land disputes and revenge attacks by ethnic Fulani herdsmen. Both Muslims and Christians told USCIRF they do not feel protected by police. The USCIRF report noted "there were increased reports of concerns of an ethnic cleansing campaign against Christian communities, with various media sources and organizations characterizing the perpetrators as coming from a single Fulani militant group." Armed herdsmen killed 19 people in an attack on a Catholic church in April. Buhari met with President Donald Trump a few days later, and during a joint press conference, Trump said his administration is "deeply concerned by religious violence in Nigeria including the burning of churches and the killing and persecution of Christians." Nigeria’s Catholic bishops issued a statement after the church massacre suggesting Buhari was not doing enough to address the bloodshed and unrest. "It is time for [Buhari] to choose the part of honour and consider stepping aside to save the nation from total collapse," the statement read. This entry was posted in National Security and tagged Africa. Bookmark the permalink.